out of potter's clay of black and altered. The Qur'anic verse above reveals in a very condensed form the entire mystic relationship between God and His human creation. He says that He made the human being out of the elements and then breathed life into the body. The Qur'anic words used here are significant. Allah uses the word nafas for His own breath, and He uses the word ruh for His own soul. These same words are used to mean the human breath and human soul - confirming the fact that we are originally from Allah, of Allah, for Allah, and in the end will return to Allah. 1. It is the agent upon which the divine permission (idhn) is borne. 2. Breath is responsible for conveying the divine attributes from the heart to the various centers of the mind, body and soul. 3. Breath creates the equilibrium and harmony of the temperaments of the body. 4. Breath carries life-supporting elements from the exterior of the body to the interior physiological functions. Breath is not synonymous with air, nor with oxygen. 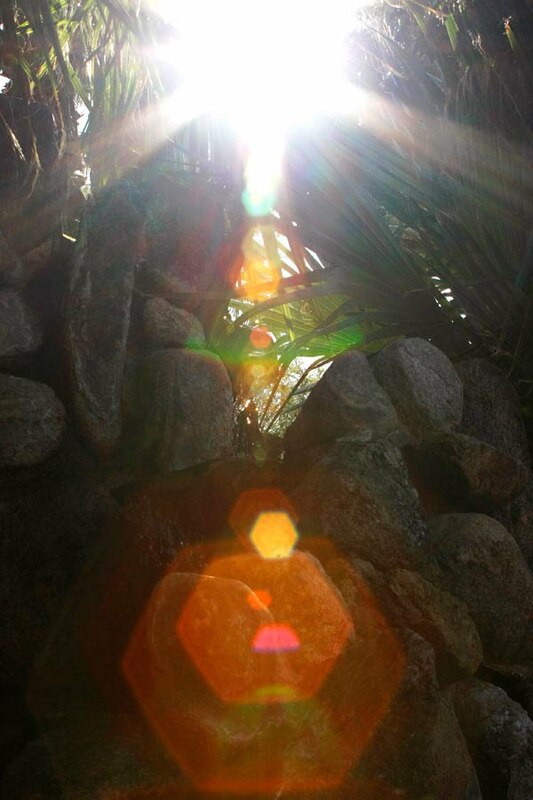 Breath is that which emerges from the divine origin and has as its essence the temperament of the celestial realms. Breath is a luminous substance, a ray of light; breath is the life of God Himself! Breath is the regulator of joy, sadness, delight, anger, jealousy, and other emotions. Both the quantity and quality of breath have a definite and direct effect upon human health. This is so because various physical events can alter or in a sense cover over the divine essence that is being conveyed on the breath. Industrial pollutants, alcoholic beverages, and various foods can all intermingle with the breath and disturb its intended purity of action. All of these actions are changed by age, climate and habits. An example will make this clear. When one experiences great depression, there is a weakening of the natural powers and a concentration of the breath. This concentration causes a violent aggregation of the breath, which consequently obliterates part of the natural heat and gives rise to an imbalance of coldness. Depending upon how prolonged the depressing is, the cold imbalance can extend into one or many organs of the body, thus producing varying degree of disease. The emotions of dread and the effects associated with great and impending danger also dissipate the natural heat. Anger will cause an increase in the amount of yellow bile essence created. If the anger is sustained, the diseases associated with excess yellow bile will occur. Therefore, medicine must be chosen for their effect on the breath and its temperament (or its altered temperament). This is why compound medicines are frequently used, to balance not only the physical symptoms but also the underlying temperaments of the physiological essences and the essences of the breath. This is also why flower essences, in the form of attars, are so effective in producing cures. It is vital that they be given at the same time as medicines that strictly affect the physical symptoms. Flowers have the greatest capacity to rebalance the breath and the internal essential temperaments. The breath is the nexus between our Creator and ourselves. 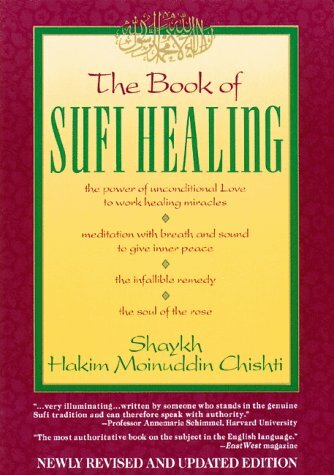 The healing methods of the Sufis have placed more importance upon the breath than on any other factor of life. In February 1979, I received a letter from my old friend Yunus Maharaj, the head of the families who attend to the dargah of our Chishti headquarters at Ajmer. "Man does not come to earth to stay forever," he wrote. My heart was pounding, knowing what was to follow. "Hazrat Maulana Sufi Darveesh Wahiduddin Begg completed his breathing practices on the 12th of Rabia'al-Awwal, A. H. 1400. It was an auspicious time, just after sunset. The day was more auspicious still: it was the birthday of the Prophet (s.a.w.s)." Although there were many feelings I experienced in association with the passing of my shaykh (may Allah forever cover him with mercy), I was struck by the unique view Yunus Maharaj had expressed to me: that life, considered from its beginning to its end, is one continous set of breathing practices. This is the view of the Sufis. On a pilgrimage to Ajmer about a hundred thousand people had converged on the tomb of Khwaja Moin-ud-din Chishti, some of them Sufis from places like Mongolia and Lybia and China. 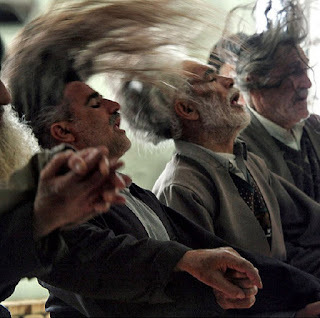 At night listening to the Musicians extemporize on the verses of the Sufi poets, some darvish carried beyond themselves began to show their reverence, a gesture that soon became a gyration. This is the darvish dance which may go on until dawn; everybody gets very high. When the Murshids leave, the darvishes continue their dhikr. Conversing in song and gesture, communicating their ecstasy to each other, their souls soaring higher and higher. One of the songs they sang was ALLAH HU, they went on and on and on, and the whole company was in a state of rapt intoxication. A Breath of God was blowing upon our souls. > Access to read the full chapter on BREATH from this rare but valuable book: TOWARD THE ONE (1974) which represent a very interesting spiritual current in global spiritual evolution. Access the full book here.